We are a leading PhD proofreading and editing company working with students and academics from more than 40 countries. We offer affordable, high quality proofreading at a flat rate with competitive turnaround times. We only use Native UK English editors. We understand a PhD thesis is the culmination of years of hard work. After those hundreds of hours poring over it you become blind to errors that you have made, instead reading what you think is there. This is where our service can be of great benefit to you. A second set of eyes will highlight errors you would never imagine you had made. We are a division of Londonproofreaders.co.uk, a leading online proofreading company based in London. We offer a premium quality editing and improvement of your writing. We offer a highly affordable service without compromising on quality. See our prices page. Other companies charge extra, we include proofreading and editing in our Premium Plus price. Two highly experienced Native UK English editors check and correct your work. We offer fast turn around times and an express proofreading service. We ensure the confidentiality of your document. The document is never shared with third parties. 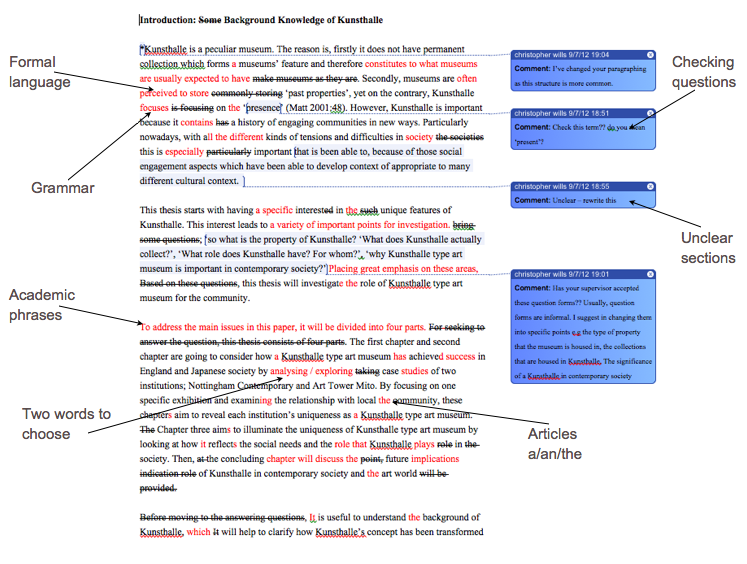 Choose from two levels of editing treatment depending on your needs. This level covers PhDs that just need a proofread of the basics like grammar, spelling, punctuation and typos. One round of proofreading is included. This level is more in-depth and includes proofreading and editing. We check spelling, grammar, punctuation and dive deeper to look at sentence structure, word choice, repetition and academic tone and style. One round of editing is included. What PhD subject areas do we cover? We cover all academic areas, using our network of experienced proofreaders. We guarantee never to give away your personal information, including your name, to any third party. We provide our services to doctoral candidates around the UK – it does not matter if you are in Edinburgh, Birmingham, Nottingham or Leeds.
" Each PhD chapter was thoroughly read and amended by two proofreaders. I was very pleased with the overall outcome of proofreading service and quality of work produced. " We use two proofreaders to check every PhD that is sent to us. One proofreader is still human and can make mistakes and miss errors, no matter how experienced they are. With two proofreaders the likelihood of missing anything is very small. Find out more about the cost of proofreading a PhD. Hold a minimum of a Master’s and many have PhDs. Undergo several rounds of testing – an initial application test, a test edit on a full document and spot editing tests on a regular basis. A two month probation period, after which they are become a full member of our team. They sign a non-disclosure to protect the confidentiality of your work. Here is how to make a proofreading order with us. The process is straightforward and takes less than a minute. Complete the form with the details of your document. We offer highly-competitive rates for our unique two-proofreader service.